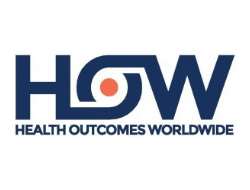 At Health Outcomes Worldwide (HOW), they believe in a day when people suffering from chronic wounds is a thing of the past. And if they do occur, that people receive timely best practice interventions so that they can heal as quickly as possible. They provide desktop and mobile e-health solutions to assist healthcare organizations deliver better patient outcomes and reduce costs. Their innovative platform – how2trak® – provides real-time, point-of-care tools to clinicians at the bedside for treating wounds, and keeping track of surgical incisions post-discharge.